Monday was an early start at the theatre, observing the get-in and the process of setting up the stage for the performance. 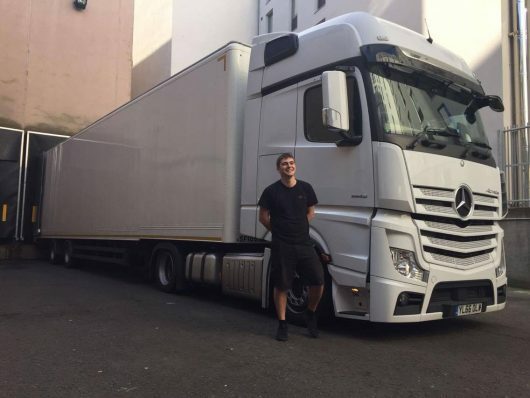 Kay unfortunately was bed bound due to illness, so Josh and Laura (our wonderful interpreter) then had the exciting task of looking around the truck which transports the technical equipment (and sometimes the dancers’ luggage) between venues – driven by James from Stagefreight. The truck contained home comforts such as a bed, microwave, fridge and even an Xbox – but didn’t have a name. We suggested “Heather”, but Heather Knight didn’t look too impressed at this suggestion! We then created content for social media and went on the very important morning coffee run – Cappuccino with no sugar for Heather (take note!). Josh then had pleasure of meeting Duncan Hendry, CEO of both The Festival and The Kings Theatres in Edinburgh. Duncan began his career with a degree in psychology (which now comes in useful for negotiating) before managing large scale touring artists in the 1980s, including Lulu and Billy Connolly. Duncan then worked his way up through co-ordinating festivals to managing and redeveloping venues, before beginning as CEO of EdTheatres in 2012. A large proportion of his job role revolves around programming shows across the two theatres. It was interesting to hear how the Festival and the Kings have different programmes targeted at different audiences and how they develop their listings. Duncan’s thorough knowledge was incredibly insightful into what CEOs in the creative industries do in their day to day duties. Josh was then lucky enough to assist with tour co-ordinator Heather’s admin work (which he is unashamedly proud to admit he loves doing!) which was really insightful to see how admin processes work on tour. Kay was back up and running on Tuesday and we had another busy day of networking with staff at the Festival Theatre. First we met Catherine Bromley (Head of Public Relations) and Megan Mccutcheon (Communications Officer) who gave us a great overview of marketing and communications within the theatre. It was also interesting to compare notes on the way Brighton Dome conducts their marketing. We discussed the claim that “all press is good press”, which Catherine agreed too as it means that shows are still being kept in the public eye – however it is essential to manage “PR disasters” effectively (although difficult to do). We asked them the same question as we did to Lucy Brooks at the Brighton Dome, regarding whether digital marketing is the only way to sell tickets in the 21st century. Megan believed print still had a use (especially season brochures and mail outs) to attract an older audience. Next on the agenda was a tour of theatre with Linda Hogg (Head of Customer Service) who showed us the stunning architecture of the wonderful Festival Theatre. 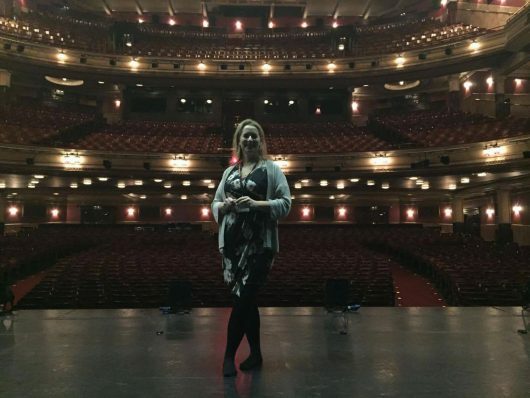 As me and Kay are both front of house staff in a theatre in Liverpool, it was interesting to learn how other venues manage their customer relations. It was great to hear how committed the Festival Theatre was to increasing access within the venue – from accessible entrances, to audio-described and signed performances, as well as allocating free tickets to low income families. We are also excited to be looking around the Kings Theatre later this week, so it will be interesting to compare the two venues. In the evening we were lucky enough to see the show again (it was just as incredible as the first time) before live tweeting the question and answer session after the show, which as always was greatly received (and appreciated) by the audience. Wednesday was another full day co-ordinating travel and creating social media content between two workshops. 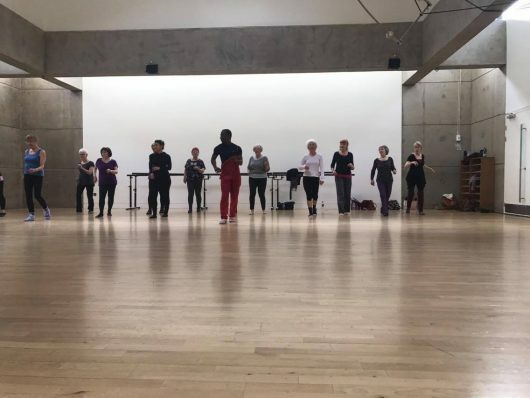 First at Dance Base with an over 60s group PRIME (below) and then over to Edinburgh College with thirty eager students training to be dancers. It was great to see how quickly both groups adapted to the sometimes difficult choreography, as well as the way the Cubans’ instantly helped put a smile on everyone’s face. Edinburgh has been fantastic and we feel we are really starting to settle in to the touring life – next to our final stop in Canterbury! The last opportunity to catch the Danza Cuba dancers in the UK in 2017! 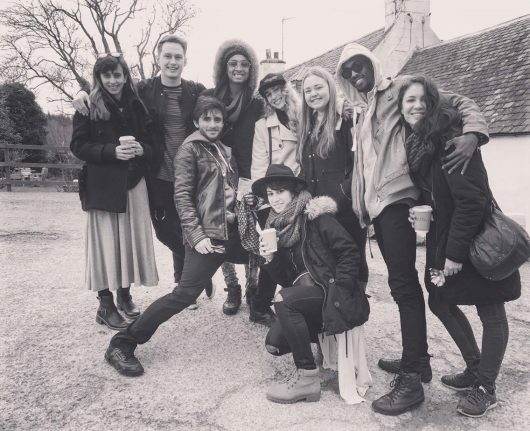 This entry was posted in Danza Contemporánea de Cuba 2017 and tagged achievement in dance, Brighton Dome, Canterbury Marlowe Theatre, Contemporary Dance, Cuban dancers, dance, Dance Consortium, Dance Consortium Blog, Dance Consortium tour, dance tours UK, Dancers, Danza Contemporánea de Cuba, Danza Cuba, Edinburgh Festival Theatre, Interview, Theatre Management.